"What did you think of Derek Randall?" This is a perfectly fair question to ask. 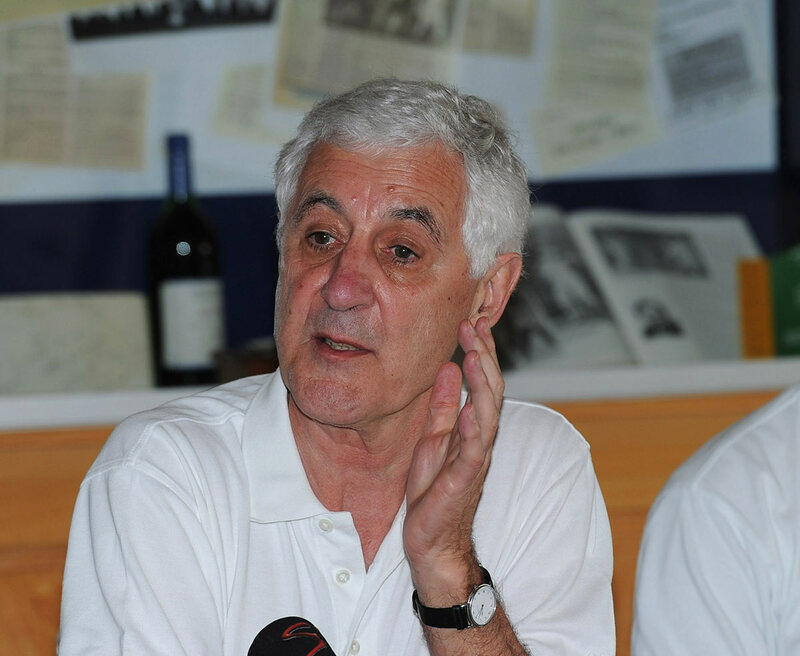 I am, after all, chatting to Mike Brearley, under whose captaincy that quirky, talented, incorrigibly restless batsman played some of his finest innings. But it is Brearley asking me the question. We are sitting in the back room of Gail's Bakery on Haverstock Hill. Outside, customers sit and drink their early-afternoon coffees while watching their rather comfortable world go by. This is north-west London: affluent, intellectual, artistic and fashionable. Inside, the man regarded as one of the best captains in cricket's history continues his endless quest to know more about the game that still holds him in its thrall. Brearley's attitude and opinions make nonsense of the metaphor by which our lives are said to reflect the seasons. For all his 76 years, he is in the autumn of nothing at all. Despite the white hair he remains instantly recognisable as the softly spoken skipper who led England to three victories in four series against Australia. My chat with him is gloriously different from almost any conversation I have previously had with a cricketer. Before long it is very clear that you don't interview Brearley; you join him in thinking about cricket. If your wits are in good order, it will be your privilege. On Cricket, Brearley's second book in little more than a year, was published recently. Like its predecessor, On Form, the new book overflows with intellectual curiosity and is particularly rich in revealing the enormous enjoyment its author still derives from cricket. This is not uniformly characteristic of the genre. Some books by old players tuck their thumbs into their waistcoat pockets and portentously hold forth on what's wrong with the game. Brearley, though he worries about the future of the County Championship and Test matches, knows there is plenty right with cricket. He delights in the batting of Virat Kohli and Ben Stokes and cannot remember when he has been as enthralled by a series as he was by England's five Tests against India last summer. His judgements are, as ever, nuanced, provisional and refreshing. His opinion of Stokes offers a perfect example. "Stokes is the type of bloke you'd like to have on your side," he says. "He's a sort of leader, no doubt occasionally for ill late at night, but also for good in the side. Joe Root asks his opinion and he's the sort of person who lifts the team, the sort to whom they look in the field. In the 2017 Test against the West Indies Jermaine Blackwood was batting at No. 7 and the first [second] ball Stokes bowled to him was short of a length and just outside the off stump. Blackwood stood up on his toes and hit it through extra cover for four and Stokes followed through and stood with his hands on his hips and a great grin on his face which said what a bloody good stroke that was. There's something about him which is admirable, enjoyable and unselfish. If you were going into the jungle, he would be your first choice to go with you." Yet for all that cricket absorbs Brearley, it has never filled his life. His last book before On Form, the classic The Art of Captaincy, was first published in 1985. Since then he has earned his living as a psychoanalyst and has only written about cricket for the papers. Now he is working half-time and spending two and a half months each year in India, where his wife, Mana, a gifted silversmith, was born. He says quietly that he has not retired from psychoanalysis. (I resist voicing out loud the prediction he never will.) The idea of writing the recent books had been in his mind for some time and now he has had the chance to get the work done. There is, though, more to it than that. 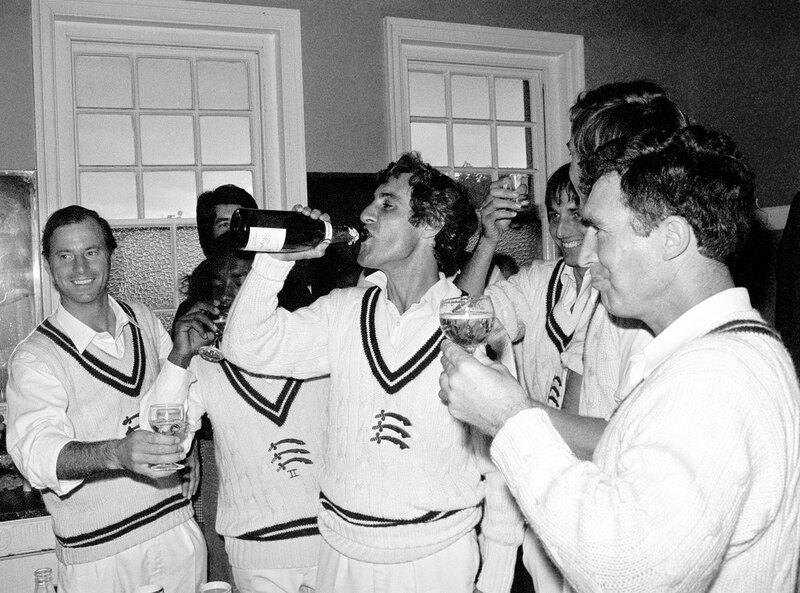 Brearley played his final innings as a Middlesex captain on September 14, 1982. (He made 14 not out in his side's ten-wicket victory against Worcestershire; in three days they had secured their fourth title under his leadership.) Yet 36 years later he is still learning about batting, still reflecting on past innings and not in a wistful, nostalgic fashion but in a practical context. Reminded of one particular innings, he says nothing but simply screws his face up as though he is eating a particularly bitter lemon. His batting record still irritates him and I warm to his openness and capacity for self-analysis. "You're still batting," I say. Brearley quite likes that idea. "I've tried to write a piece since On Cricket was published about the series in the summer and it's almost as if I could have thought before in the way I do now, I would have been able to play better," he says. "It's as if I could be learning to play cricket in another life. It's linked to the fact that if you know something reasonably well, you realise there's an awful lot you don't know about everything else. Because there's still a lot you don't know about cricket. That should make you more rather than less humble. You don't know something so you try and find out about it and you argue about it." Later our conversation turns to cricket and race, another topic about which Brearley learned and argued as a young cricketer. His experience of racial discrimination was gained at first-hand when he went on MCC's tour to South Africa in 1964-65. Four years later, in the aftermath of the Basil D'Oliveira affair he seconded a vote of no-confidence in MCC's committee. 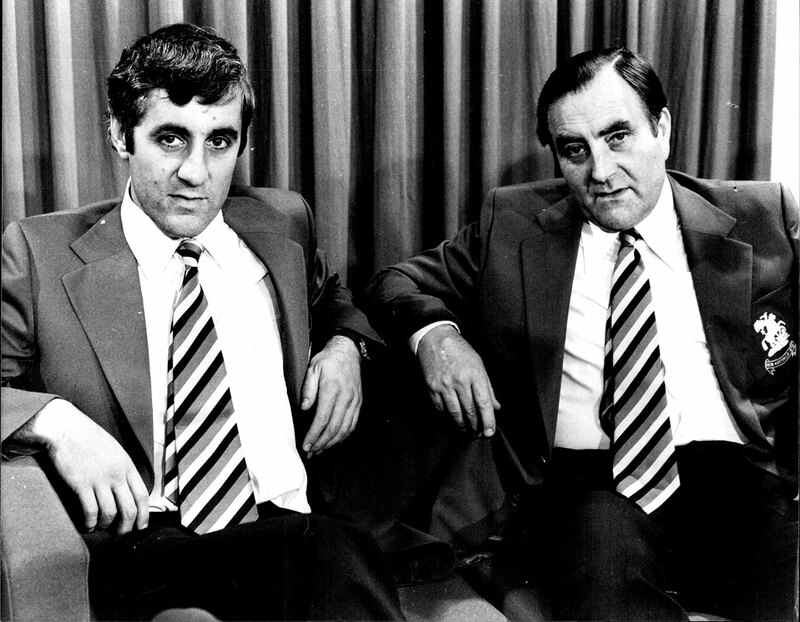 In 2007 he accepted the nomination to become president of the club in succession to Doug Insole, the chairman of selectors in 1968. "I'd changed but the club had changed more," Brearley told Mike Atherton in 2016. Nevertheless, a long section of On Cricket is devoted to the game's relationship with race and I suggest to him that it is also the best and most deeply felt. I also wondered what he knew about apartheid before his first tour. "It's the one quasi-political thing I've done in my life, and it took a personal experience for me to start feeling strongly enough about that to do something," he says. "As a psychoanalyst who has tried to be relatively discreet about myself I quite enjoyed writing about my father, so that meant a lot to me on another level, but yes I think you're probably right. The section on race is the biggest in the book and in the course of it I learned something that may or may not have been true, that they actually picked D'Oliveira but it was overturned, as Insole was alleged to have said. "I suppose I was distantly disturbed about apartheid before I went to South Africa. All we had been told about apartheid was that we should keep out of it. Very much par for the course. I knew that people like David Sheppard had called for tours to be called off but it was a bit distant from me and I suppose that I wasn't very politically committed, although I was very clear that I couldn't vote for the Conservative party." Before long Brearley began to understand precisely what living in South Africa was like if you didn't happen to have white skin. He went to Bantustan Transkei and also met Alan Paton, author of Cry, the Beloved Country. He visited a car factory in Johannesburg and asked the black workers what they were paid before finding out from Tom Cartwright, another tourist who had no time for apartheid, what a corresponding worker might earn in the car plant in Coventry. "During the tour I had quite a lot of time off and I spent Christmas Eve in one of the townships near Johannesburg with a bloke who worked at our hotel," he recalls. "He was of Indian origin and he took me to his home. I was only 22 but I was a young 22 and for the first time I came across an Indian family in which the women served me and then retired behind a screen. So there was a cultural bit of learning in addition to the township with the dogs barking and my being a bit afraid and not really sure I was supposed to be there. I was outside my comfort zone." Even now, the issue of race preoccupies Brearley and the whole D'Oliveira affair still intrigues him. He ponders various interpretations of D'Oliveira's selection for two Tests in 1968 and then his initial omission from the touring party. "There were bits of logic in the affair. He'd been a difficult fellow on the previous tour to the West Indies where he'd drunk too much and got aggressive. And you could see the logic in that he wasn't the bowler Tom Cartwright or Barry Knight was, yet he was picked as a substitute for either of them. But it was difficult to see how he could not be one of the best 16 players when he had just scored 158 at The Oval and done a useful job with the ball." Before long we are discussing the way in which an affair like D'Oliveira's can reveal the character of a nation's Establishment. I make comparisons with the Dreyfus case in France and Brearley floats the extraordinary possibility that the murder of Jamal Khashoggi in the Saudi Arabian consulate in Istanbul might ultimately lead to the ending of the war in Yemen. Ideas are freshly minted. The notion of pigeonholing Brearley - a tired and claustrophobic metaphor in any case - is absurd. He is suspicious of the British establishment yet also dislikes north-west London and Guardian-reading conformity. Kerry Packer was never his style, yet he understood the motivations of the cricketers who joined World Series Cricket and he was insistent they be picked on merit for the England team he captained in 1977. And yes, On Form also contains a warm tribute to CLR James, the West Indian social historian and cricket writer whose query, "What do they know of cricket who only cricket know?" seems ever more relevant with each passing summer. Eventually we return to events within the boundary, or at least to the subject of captaincy. The 1981 Ashes Tests are hardly mentioned, though. Brearley has written the book on that series and it is well-trodden ground. I am interested in his spell as Middlesex captain from 1971 to 1975, the seasons before they won their first title. The team in those years contained a cadre of seasoned professionals. They did not take too kindly to the arrival of a new captain who had just taken five years off to teach philosophy, whatever the 'ell that was. 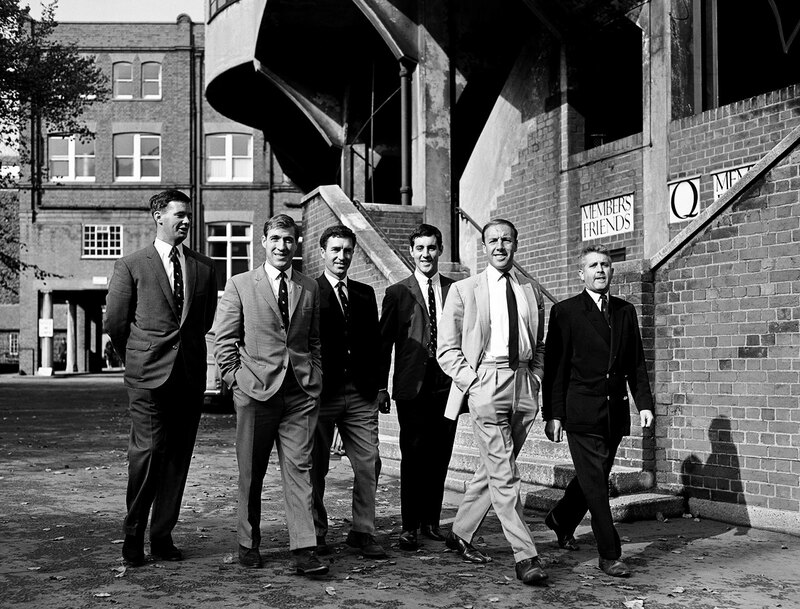 Brearley insisted he was a professional cricketer but that did not quell the suspicion of a group whose respect for rank and time-serving was perfectly summed up by the new captain Fred Titmus's first meeting with his players in 1965. Titmus was flanked by JT Murray and Peter Parfitt, two other senior professionals. "If you think," said Titmus, "that now you've got a professional charge, you're going to have a democracy, you've got another think coming. Some of us have got a lot more experience of cricket, ain't we, JT?" Brearley now smiles at the recollection but the old pros made his early seasons very tough. Eventually, though, younger players were introduced and they warmed to the new captain's abundant tactical skills. Gradually the Middlesex dressing room became more informal and, gawd 'elp us, democratic. Everyone got a say. But it had been a hard schooling. "There were times during those Middlesex years when I felt like giving up," says Brearley. "One of the reasons I didn't was that some people valued what I did and so my confidence wasn't completely shattered. And I also admired the old players: Fred Titmus very much, John Murray with qualifications. Peter Parfitt I quite liked but I'm not sure he liked me very much. But I think a lot of the old rivalries emerged: a so-called amateur captain coming from outside and taking the place of somebody who's really put the hard graft in." In time Brearley earned the respect of the old pros. A few of them liked him, and his great affection for Titmus was fully reciprocated. But it occurs to me that just as it had needed the tough experience of going to South Africa to develop his views on apartheid, so some hard years in charge of a county side had prepared England's best captain for his summers in the headlines. And, of course, the learning never ceased. Just as he understood more about the game from playing with professionals like Titmus, so Brearley sometimes gained a better perspective on his own role from undergoing psychoanalysis - a process that began in the early mornings before a day's county cricket and was a necessary part of his training for the profession. I had suggested that such encounters might have clouded his appreciation of captaincy. "If anything it seemed to help it," Brearley replies. "I remember when I was anxious that we might have got everything wrong, my analyst said to me: 'You speak as if there aren't another ten people in the team.' There was a slight recognition that there was something self-centred about getting so worked up about how things were going when you were only one part of the team." We carry on talking even as we are preparing to leave. We speak warmly of the imperturbability of Frank Worrell and his ability to calm his fast bowler Wes Hall when Brian Close was giving him the charge on the last day of the 1963 Lord's Test. 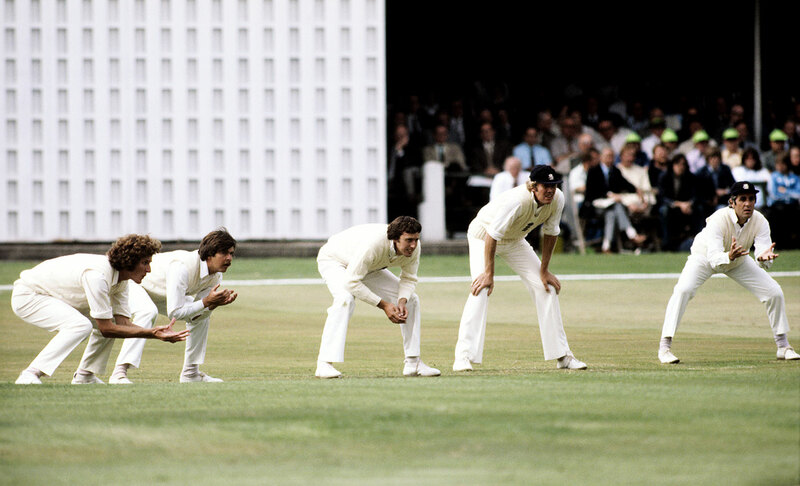 Other images flit unbidden into my mind, like stills from favourite films: Brearley scampering up to join his delighted players after a wicket has been taken; Brearley vainly trying to keep up with Bob Willis' giant strides while suggesting a tactic; Brearley, his hands behind his head, wearing his England sweater and smiling broadly at something that has just taken place on the field. It is the image on the cover of On Form. Enjoyment, as ever, is a dominant theme. Brearley remembers a charity match he organised on the Nursery Ground at Lord's in aid of a psychotherapy clinic, and the long-retired Middlesex batsman Clive Radley playing a perfect stroke through wide mid-on. He is full of admiration. Then he reminds me of a fine shot Alastair Cook unfurled in his last Test. Both pieces of cricket have helped Brearley continue a quest he began long before he played his maiden first-class innings in 1961. On that occasion he made 76 for Cambridge University against a Surrey attack that included Peter Loader, Tony Lock and Eric Bedser. Over two decades later he retired from professional cricket but the wide-ranging, multi-disciplinary study continued, and there are plans for another book on cricket. We may be assured that its conclusions will be acute and first-hand. They will display the unsleeping curiosity of the deeply intelligent freshman. What does fear have to do with form?